BUCHANAN, N.Y. -- Gov. 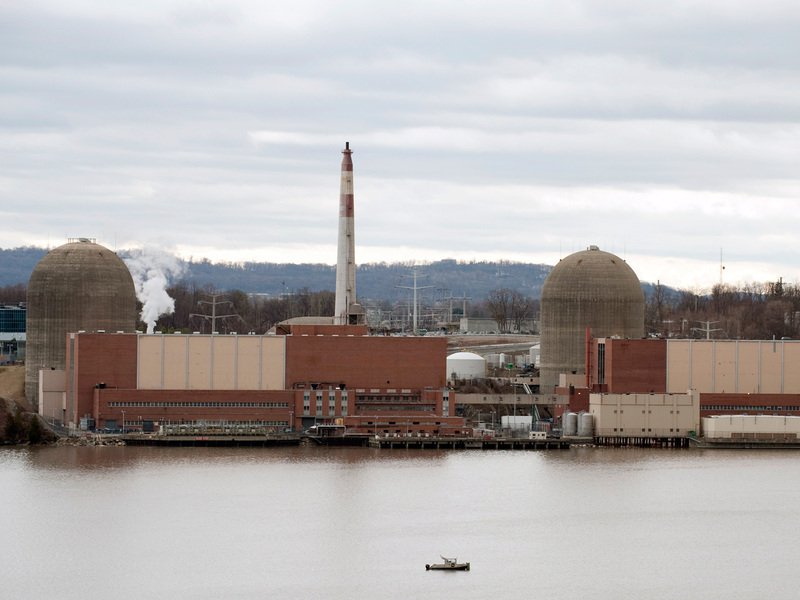 Andrew Cuomo is calling for an investigation after an apparent overflow at the Indian Point nuclear power plant spilled highly radioactive water into an underground monitoring well, but nuclear regulators said the public isn't at risk. The contamination has remained contained to the site, said Cuomo, who ordered the state's environmental conservation and health departments to investigate. "Our first concern is for the health and safety of the residents close to the facility and ensuring the groundwater leak does not pose a threat," Cuomo said Saturday in a statement, according to CBS New York. "This latest failure at Indian Point is unacceptable and I have directed Department of Environmental Conservation Acting Commissioner Basil Seggos and Department of Health Commissioner Howard Zucker to fully investigate this incident and employ all available measures, including working with Nuclear Regulatory Commission, to determine the extent of the release, its likely duration, cause and potential impacts to the environment and public health." "We don't believe there's any concern for members of the public," Sheehan said. "First of all, this water's not going anywhere immediately -- and, again, because of the dilution factor, you wouldn't even be able to detect it were you to take a direct sample." "While this instance of tritium in the ground is really not in accordance with our standards, there really is no health or public safety consequence," spokesman Jerry Nappi said. In a statement, Entergy also said, "While the effect of these elevated values is less than one-tenth of one percent of federal reporting guidelines, Entergy made voluntary notification to the NRC, state agencies and key stakeholders."